Christmas is here, and we are fully aware that you may not have the number of gifts for every person in your life that you would like to have at this stage. Unfortunately, the physical deliveries will not make it in time for festivities when ordered now. 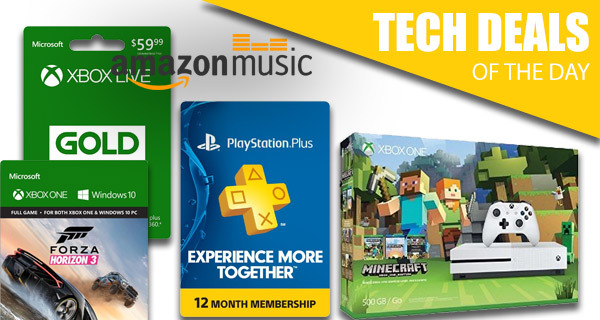 Fortunately, most of our today’s tech deals are digital downloads and cards that can be redeemed with a special code delivered via email instantly. 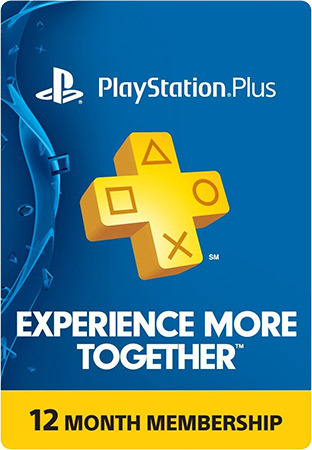 Let’s start off with a year’s plan of PlayStation Plus membership for anyone with a PS3, PS4, or PS Vita, coming in at just $49.99, down from $59.99. Up next, is an Xbox Live Gold subscription for 12 months, again, with a $10 discount, for only $49.99. 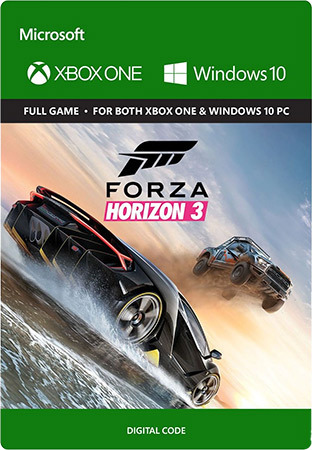 There’s then the digital download code for the amazing Forza Horizon 3 for Xbox One and Windows 10 PCs coming at just $39.99 down from original price of $60. 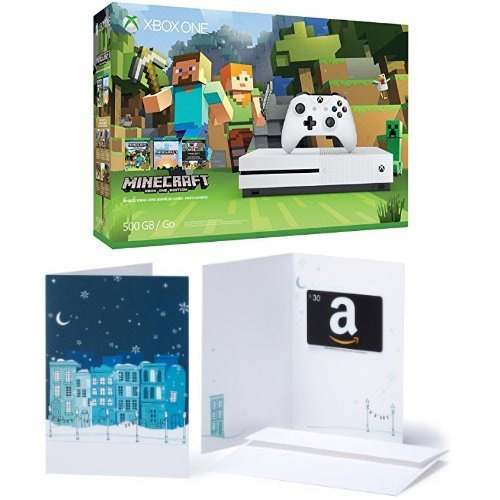 There’s also a Xbox One S Minecraft Bundle coming with a discount plus $30 free gift card, but of course, you will have to wait till after Christmas to have it delivered. As always, all deals listed are hot and will only last for a limited time, or till stocks last, whichever happens first. So if you have identified your target, make sure you act quickly before the offers expire. Enjoy the savings, and happy holidays from us here at RP! Grab yourself almost unlimited entertainment with this fantastic 1-year access to PlayStation Plus. That means you can take all of your games and get them online to play against others, as well as download the free games for PlayStation 3, PlayStation 4 and PlayStation Vita when they become available. This is a digital code delivery offering too, which means you can get and use it right away. 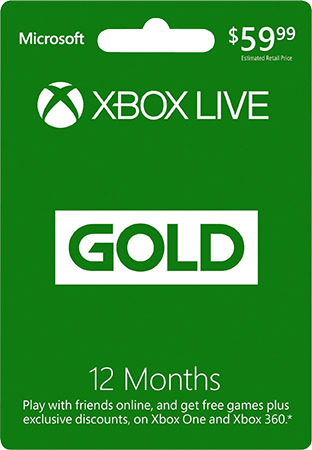 As above, but if Microsoft handles your console needs, then you can get twelve months access to Xbox Live Gold with this reduce priced membership. That’s $10 off the normal price, and offered as a digital code to allow you to get up and running with it on Christmas morning. This is actually quite a unique offering, but still one that you really can’t afford to turn down if you are a music fan planning on subscribing to Amazon Music Unlimited. 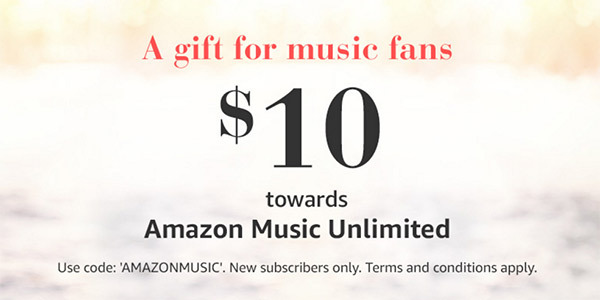 Simply sign into your account, enter the unique promotional code as shown in the image above, and you’ll be given $10 against your Amazon Music Unlimited account once you complete the sign-up process of 30-days free trial. Get those Christmas playlists ready! To top off the digital downloads we have the absolutely fantastic and adrenaline pumping Forza Horizon 3 for Xbox One and Windows 10. Like the Xbox Live Gold and PlayStation Plus offers above, this is a digital download that will give you access to the game immediately. No waiting for the physical copy to be delivered. Simply transact and give the gift of motorsport instantly. Oh and yes, this single purchase will give you access to the game on both Xbox One and Windows 10. It’s very difficult to download an Xbox One S console, so you’re going to have to wait for this to be physically delivered. With that said, we don’t think you’ll mind when you find out that you get Minecraft thrown in for good measure as well as a $30 gift card that can be used to purchase any goods on Amazon. Also, did you know that Xbox One S has a 4K Ultra HD Blu-ray drive, something which even the PS4 Pro doesn’t have? This may come after the Christmas rush, but it’s definitely worth it. Also, this is the last day to get this as after today Xbox One S will be back to its original price.